Australian global payments provider Verrency has announced its expansion into the UK and Europe with the appointment of senior financial services executive Peter Vestergaard Larsen as Managing Director, Business Development Europe. Verrency’s foray into the UK and Europe comes hot on the heels of the company being nominated as the Top PayTech Innovation finalist at the inaugural UK PayTech Awards 2018. Verrency has also recently won FinTech Australia’s 2018 Excellence in Establishing a Global Market Presence Award, and signed a significant long-term deal with volt bank, Australia’s first independent neobank. Based in London, Larsen has over 25 years of international business experience. He most recently founded Innovation International Consulting where he provided strategic and business development counsel to banks and FinTechs on card payments and innovation. He has previously held senior roles in banks, technology and outsourced payment processing companies, including TSYS. Larsen lives inLondon and is fluent in several European languages. Larsen said: “We foresee a strong demand from EU banks for Verrency’s platform, particularly given the increased competition brought about by the recent roll-out of EU’s PSD2 and the UK’s Open Banking standard. Verrency is a member of the UK’s leading fintech community Level39, which is situated at the heart of Canary Wharf in London. Verrency was accepted into Level39’s cohort in July 2017. 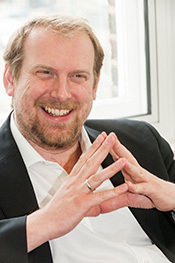 Founded in 2016 by experienced payments and banking innovator David Link and banking technologist Euan Walker, Verrency delivers Innovation-as-a-Service to financial institutions with its API platform, which has been specifically designed to enable financial institutions to innovate and cost-effectively deliver value-added services to their customers without needing to replace or heavily modify their existing card payments infrastructure.